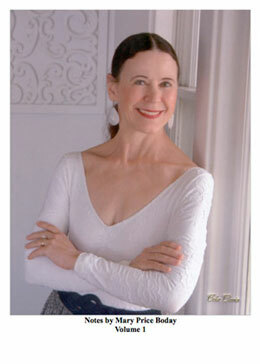 Mary Anthony is one of the unrecognized heroes in the history of modern dance. During the time she taught for Hanya Holm, she trained Alwin Nikolais and later in her own school, her teaching was an influence on the lives of many dancers. Despite her influence, Mary is not recognized on the modern dance history tree. Hopefully this biography will change that and bring this hidden diamond into the light for all to see. 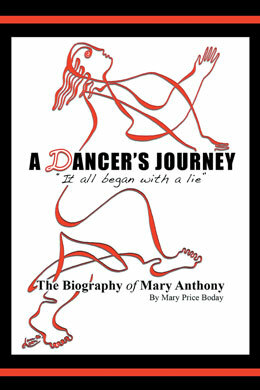 This biography covers Mary Anthony's childhood, as well as the joys and hardships she experienced in the course of achieving her dreams. Included is the creation of her school, and later, her company. The book explores her golden years, her struggles, and surviving her greedy landlord in New York City. These events illustrate her tenacity and ability to withstand and conquer the many challenges in her life. Each book will be personally signed by the author through this website. Be sure to specify who you would like it dedicated to during the Paypal checkout. Volume I is the first of 4 volumes of classes in their entirety. Additionally, the music needed for each class is included along with the source to able to purchase the music. The notes are very specific including arms, facings, etc. Added to this volume is my cross training for ballet and modern that I developed over 40 years of teaching. Also, there are 3 pieces of choreography for ballet class, and the Harkness Therapeutic Barre. Included are two classes fondly called "Fun Music". While I taught at the Ann Lacy School of Dance and Arts Management at Oklahoma City University, the students would give me selections of music from today. I chose the pieces that would work for ballet combinations. These classes are indeed fun, and a breath of fresh air for the students. 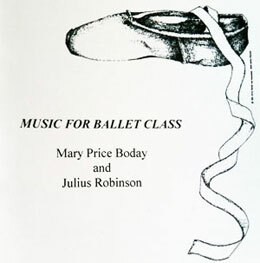 Mary Price Boday and Julius Robinson recorded a record together in 1990. This record has now been recorded into a CD. The music on the CD includes the Harkness Therapeutic Barre.